This embellished cuff is worn across Nepal, both as a bracelet and an anklet. The design features the heads of two protective animals at the tips. 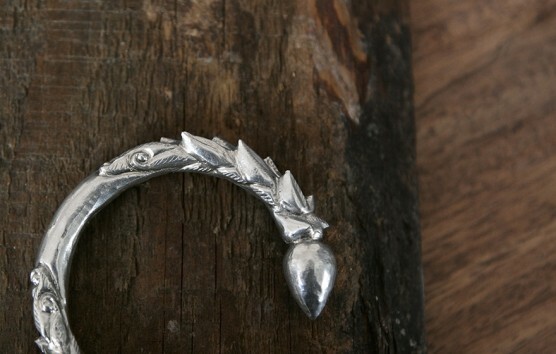 Traditionally, it is worn as on each wrist or ankle, by both women and children. It is believed that the animal, usually conceived as dragons or lions, protects the wearer from illness and bad fortune. Many people have moved away from the heavy anklet, though the bracelet can still be seen in much of Nepal’s mid-hills. 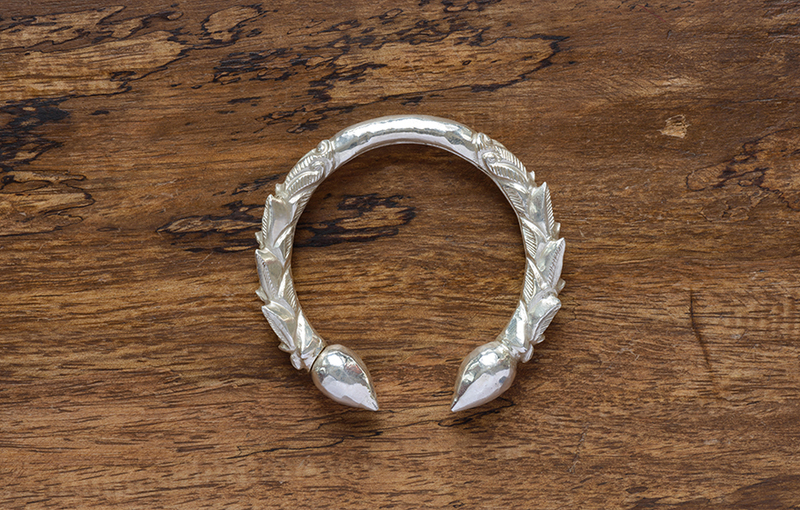 This striking cuff is hollow, ensuring that it is comfortable to wear. 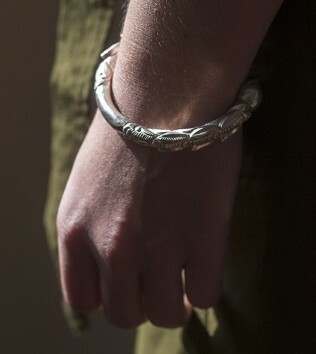 A unique piece, the Kalli Cuff is certain to draw attention. It is available in three sizes: Small, Medium and Large.